We are currently visiting our son in Japan and taking a couple of weeks touring. My wife booked us into a small rural hotel advertising an evening visit to a Lunar observatory which sounded interesting but we were in for a very pleasant experience. Having visited Mt Aso, an active volcano we arrived at a lovely chalet style hotel in the largest volcanic caldera on earth. 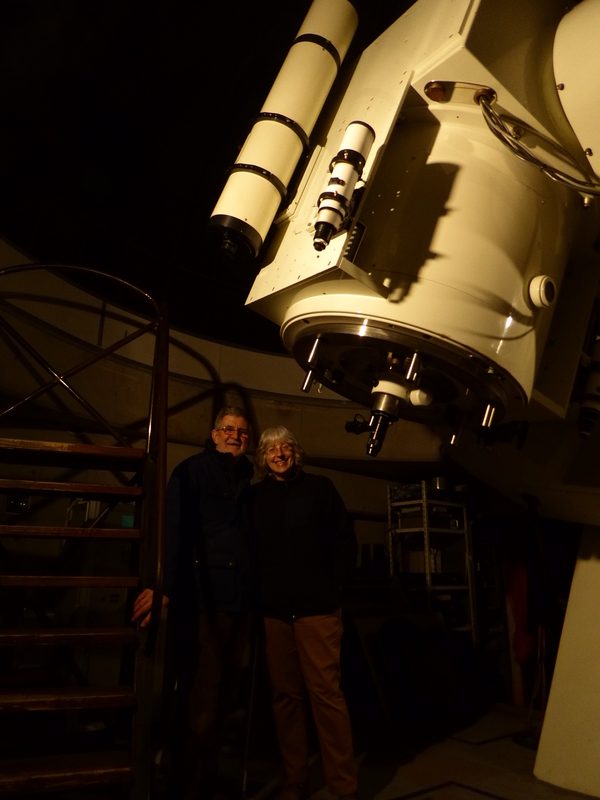 After freshening up we enjoyed a wonderful gourmet dinner followed by an hours tour of the night sky using a range of telescopes culminating in looking at Jupiter through an 800 mm diameter mirror reflecting telescope. We could clearly see the stripes around the planet and some of the moons. The telescope is the largest in Kyushu, weighs 11 tons and cost 1 Billion Yen! It was purchased and installed by the owner of the hotel who is an enthusiast. The cost for two people to stay including dinner, breakfast and the observatory was £104 for the night. Amazing value, well done Gaynor! This entry was posted in Uncategorized and tagged Lunar observatory, Mt Aso, reflecting telescope on March 24, 2015 by timbdesign2014.